Café Boulud is stepping up to the plate for a second crack at Toronto’s fine dining scene. 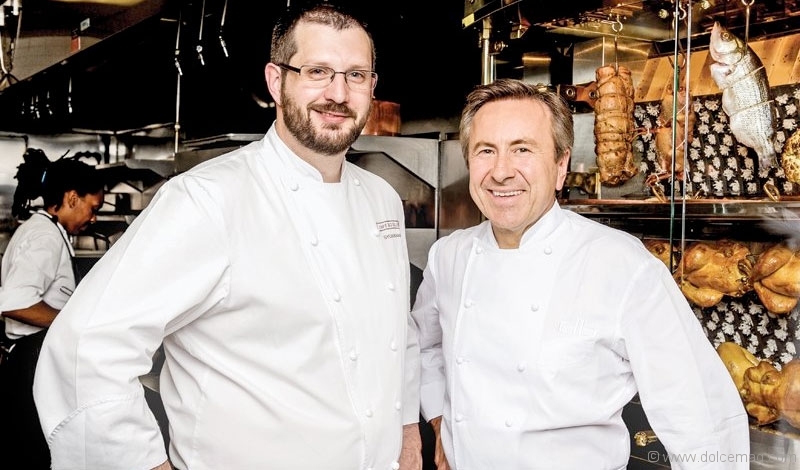 Just in time for TIFF, chef Daniel Boulud’s upscale French restaurant will be relaunching at the Four Seasons with what’s being described as a new “comfortable, lively brasserie atmosphere” thanks to the innovative touch of award-winning designer Martin Brudnizki. Dolce Magazine touches base with Café Boulud’s chef de cuisine Sylvain Assié to find out what’s on the menu for this second act. Dolce: Menu-wise, what can diners expect from the new direction at Café Boulud? Sylvain Assié: Diners can expect more comfort food, more familiar food. There will be a lot of different styles of food on the new menu, like the charcuterie, rotisserie, and a great selection of salads and terrines. The new room really complements the new menu — it’s very comfortable, with a warm ambience. D: How do your dishes reflect the comfortable energy created by designer Martin Brudnizki? SA: The renovations are almost complete and we can see the open, comfortable dining room coming to life. Each table is almost like a small, intimate space with rounded banquets. I like to think of the menu as cosy, so the two elements really complement each other. D: How will new additions such as soulful French cooking and a rotisserie hailing from France lift the culinary experience at Café Boulud? SA: The emphasis on the traditional French touch — dishes like the quenelles de brochet and the cailles en sarcophage — is very unique to Toronto. Many restaurants have started doing rotisserie, but for us, it is very important, as it is a classic French dish. The new Café Boulud is a very inviting and generous place. From the menu to the design, you will feel just like you are in a brasserie in France. 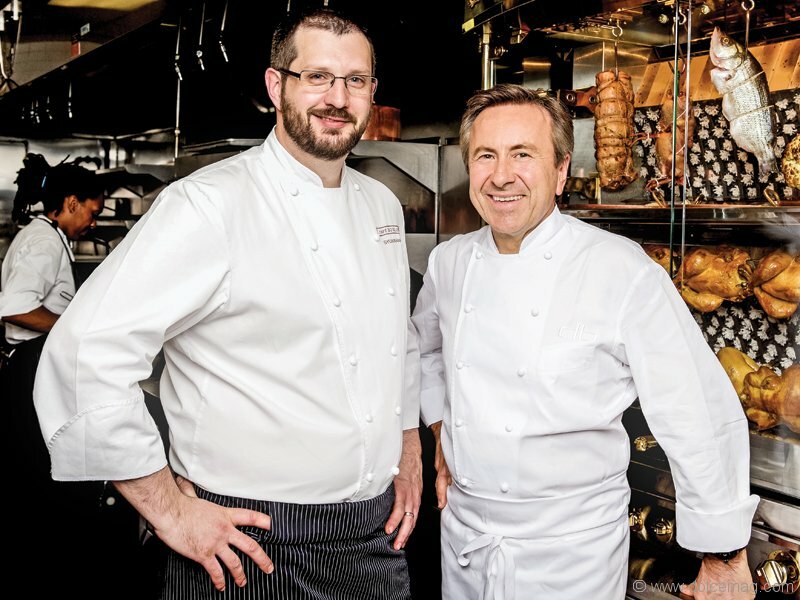 D: What has Chef Daniel Boulud taught you as a mentor? SA: Chef Daniel is very involved and is so excited about this new concept. He brings a level of knowledge that I’ve never encountered before with any of the chefs I’ve worked with. He has a style that gives attention to every small detail. Nothing is ever set for him. We put together a menu and then we change it. We’re always thinking about what we can do to make it better.